Shown below are just a few mainframe computers of the 1960-1970's era. They were chosen for inclusion here because of their processing power and for their advanced operating systems software. 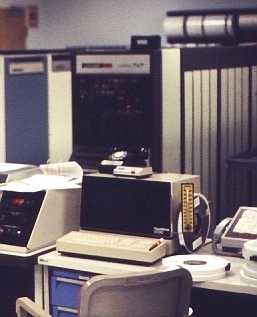 Many experts say that the Burroughs B-5500, with it's unique systems architecture and software, was 20 years ahead of the competition. 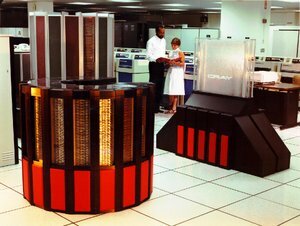 The Cray-2 was a vector supercomputer offered by Cray Research beginning in 1985. It was the fastest machine in the world when it was released, replacing Cray's own X-MP computer that previously held the record. Seymour Cray was a prioneer in the development of ultra high speed parallel processing super computers. The B5000 series was designed in 1961 by a team at Burroughs under the leadership of Robert (Bob) Barton. It was a unique machine, well ahead of its time, and is still ahead of many of today's information processors. Click on the above image for a summary of the advanced features of the B5000 series. 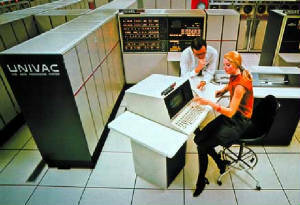 The UNIVAC 1110 was the fourth member of Sperry Rand's UNIVAC 1100 series of computers and was introduced in 1972. It supported multiprocessing up to 6 CPUs. Semiconductor memory was introduced in 1975 and introduced as the UNIVAC 1100/40, the final digit representing the number of CPUs. Click on the above RCA Spectra 70/7 image which takes you to Kenneth R. Koehler's excellent website "Blasts From the Past", then scroll down the page about half way to the section entitled "Time Sharing with RCA" for a description of the the Spectra 70's outstanding VMOS (Virtual Memory Operating System). 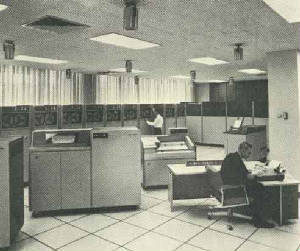 The CDC 6600 was a mainframe computer from Control Data Corporation, first manufactured in 1965. 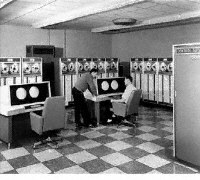 It is generally considered to be the first successful supercomputer, remaining the world's fastest computer from 1964 to 1969, when it was replaced by its own successor, the CDC 7600. Over time, computer technologies have changed dramatically since the 1940s. 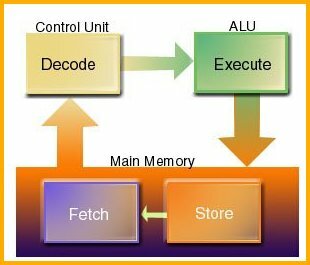 Most still use stored program architecture (sometimes called the von Neumann architecture) with four main sections: the arithmetic and logic unit (ALU), the control circuitry, the memory, and the input and output devices (collectively termed I/O). These parts are interconnected by a bundle of wires (a "bus"), usually driven by a timer or clock.